If you’re ready to get behind the wheel of a new Volkswagen in Long Beach, you’ve come to the right place! 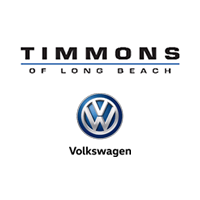 Whether you’re looking for compact, efficient commuter or a spacious family SUV, Timmons Volkswagen of Long Beach has the VW cars you want, with a model for every need. Our friendly, knowledgeable sales staff is always available to help you find the Beetle, Alltrack or Jetta that best suits your driving profile. We understand the everyday needs of the Long Beach and Lakewood drivers who have trusted us with their business for over 30 years! Browse our inventory of new VW cars today, and then visit our Long Beach Volkswagen dealership. What is the Best Volkswagen for Me? With so many options available across the new Volkswagen lineup, it may at first be difficult to choose. How about taking a look at the Volkswagen reviews? All our VW cars, including the Tiguan, Jetta, and Golf, come highly reviewed by industry experts! “What about safety?” you ask. All new Volkswagen cars, from the compact VW Golf all the way up to the 3-row VW Atlas, boast the latest in advanced safety technology; in fact, the Volkswagen Atlas even earned a 2018 IIHS Top Safety Pick award! The point is that there’s no wrong vehicle to choose when you’re opting for a Volkswagen, and all of our new cars enjoy the same great warranty coverage you’ll only find with VW. Still on the fence? See how your favorite VW cars match up to the competition! Be sure to then also browse our new vehicle specials, which allow you to drive off in critically-acclaimed, sophisticated Volkswagen for less!